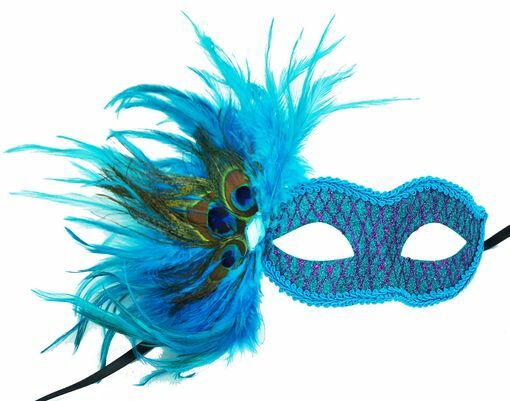 Masquerade eye mask is hand glittered with aqua and purple glitter. Mask is made of a durable plastic and is stronger than paper mache. Color of mask is aqua.